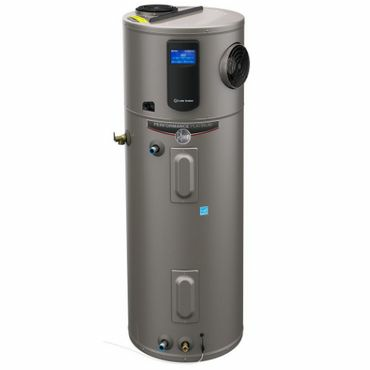 Rheem hot water heaters rocket to the top this year, and we found some great options among gas and electric models, including high-efficiency electric heat pump (hybrid) models. Tankless hot water heaters are an option, too. A.O Smith is a top name if you are looking for a condensing gas heater for maximum efficiency, at a price. Though relatively expensive compared to conventional storage tank gas water heaters, condensing gas hot water heaters like AO Smith GDHE-50-NG can cut fuel costs by around 30 percent. Part of AO Smith's Vertex line, the GDHE-50-NG is Energy Star Qualified with a thermal efficiency of 96 percent. The 50 gallon tank can kick out enough hot water to run more than three showers at a time, or virtually unlimited back-to-back showers, making it ideal for high usage households. 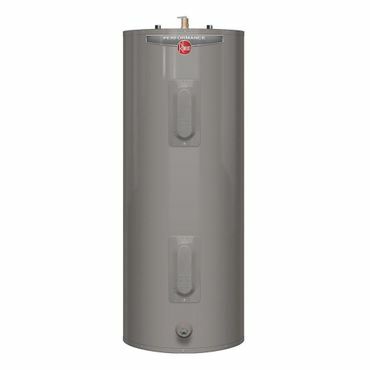 If budgets are tight, or you need a simple replacement for a standard electric water heater, the 40-gallon Rheem XE40M06ST45U1 looks like a good choice. Though not Energy Star qualified, it meets current regulations for energy efficiency. Extras are sparse, and the warranty is just six years, but owner feedback is largely positive for this water heater and others in the Rheem Performance series, which includes models with capacities from 20 to 50 gallons. Improved water heater technologies that have emerged in recent years give homeowners looking to buy a new water heater more choices than ever before. Traditional storage tank gas and electric water heaters are still available -- and popular -- but those have now been joined by tankless water heaters; heat pump water heaters (also called hybrid water heaters); condensing gas water heaters; and more. Oil-fired water heaters are also still available, but experts say their higher up-front costs make them a bad deal for new installations. Fuel costs might also be higher, depending on local utility costs. Updated National Appliance Energy Conservation Act (NAECA) energy-efficiency regulations went into effect in 2015. These rules raised the minimum energy efficiency -- expressed as its Energy Factor (EF) -- for all types of water heaters currently being made. Manufacturers were allowed to continue to sell water heaters already produced until stocks are exhausted. But at this point, virtually all of the heaters you are likely to find at retail -- certainly from major vendors -- will meet those updated standards. 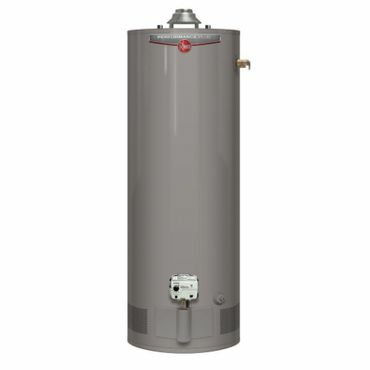 For most homes and families, a water heater of 55 gallons or less will be the right choice. For those, the new NACEA standards only required a small boost in efficiency -- about 4 percent says Marianne DiMascio of the American Council for an Energy-Efficient Economy (ACEEE). DiMascio adds that new standards were largely handled via small improvements in insulation and the like. However, there are still some factors that shoppers should be aware of. One is that current NACEA-compliant water heaters are slightly larger than older models. The ACEEE says that a survey of manufacturer websites showed that the new conventional water heaters (55 gallons and below) are typically an inch or two wider or taller than previous models to accommodate their higher level of insulation. That won't be an issue for most, but can be a problem for some looking to replace an existing water heater that's installed in a tight space, such as a closet. Experts also say that compliant water heaters will be a little costlier than earlier models, by around 20 percent. If you are looking for a new water heater that's larger than 55 gallons, the impact of the NACEA is much more significant. The 2015 standard raised the minimum EF for those so much that traditional storage tank gas and electric models are no longer an option. Instead, you can consider installing two smaller water heaters or opting for a heater that uses a higher efficiency technology. Hybrid electric and condensing gas water heaters are storage tank heaters as well, but they use newer technologies that can cut fuel costs considerably -- especially in the case of hybrid electric models. The downside is that these types of water heaters carry a hefty price premium over traditional storage-tank water heaters. However, their long-term payoff is also substantial. The ACEEE reports that a hybrid/heat-pump electric water heater can cut utility costs by more than 50 percent compared to a conventional storage tank water heater, while a condensing gas water heater can cut energy costs by about 25 percent. That can make these types of water heaters a good choice even if you are in the market for a smaller capacity unit. We cover these technologies and available models in more depth in our discussions of the best electric water heaters and best gas water heaters, elsewhere in this report. Tankless water heaters are another option. These don't rely on a storage tank to supply heated water; instead, hot water is generated on demand. Some are designed to provide enough water for an entire home, while others are portable for outdoor showers and similar uses. 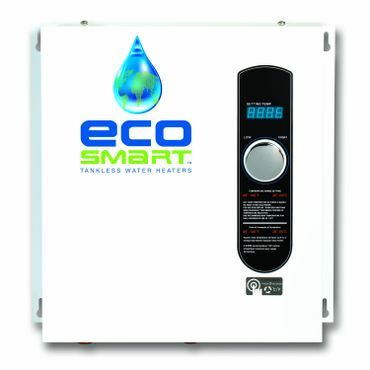 Tankless water heaters can run on electricity or natural gas, depending on the model. Tankless water heaters are also covered by the latest efficiency standards but most were already efficient enough to not be significantly affected. However, while tankless water heaters are much smaller than other types of water heaters, they are pricey and can be complicated to install. Inconsistent water temperature is another oft-cited complaint. When it comes to water heaters, credible experts have plenty to say about types of water heaters, but are generally silent when it comes to recommending specific models. Because of that, the recommendations in this report are largely based on user feedback, some of which reflects months or years of use. Fortunately, some top water heaters have been on the market for a few years now and have accumulated hundreds, if not thousands of user reviews. Top sites for user feedback include HomeDepot.com, Lowes.com, and Amazon.com, along with a handful of smaller Internet sellers of water heaters. 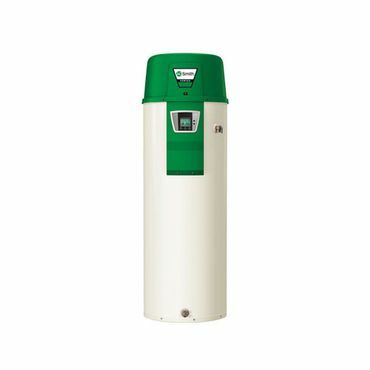 We also considered the advice of experts regarding what to look for in water heaters. Based on all of that, we name the best choices among gas, electric and tankless water heaters, considering factors such as performance, energy efficiency and value. Sufficient first hour rating (FHR).